TORY BREXITEER Geoff Brooking threw a grenade at the Remoaners last week. The Portsmouth based political activist was sensationally booted out of Westminster for shouting down remainer MP and trouble maker Anna Soubry. Scenes which forced the Broxtowe MP to cut short an interview with Jo Coburn and Nigel Evans. 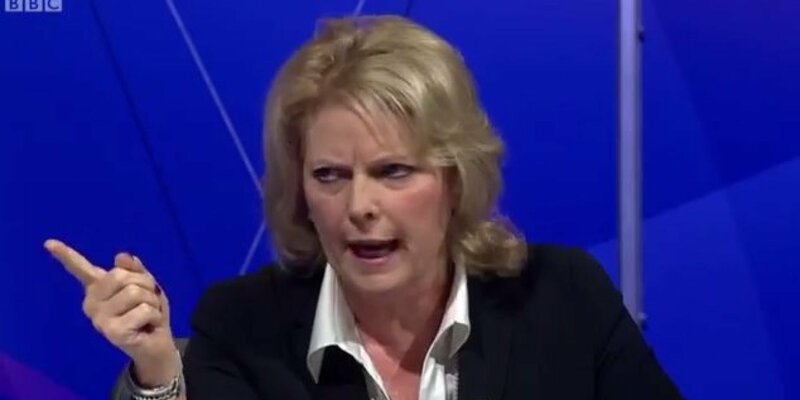 In scenes which were broadcast Live on the Daily Politics, Brooking accused Soubry of being a Remoaner and demanded that she accept the outcome of the referendum. Brooking was then sensationally heard calling for all Remoaners trying to block Brexit to be "hung for treachery". And tonight Brooking told reporters from The Times that this was not the end of the matter and promised more stunts to come unless Brexit is fully implemented. Last week SNP MPs walked out of PMQs in protest at the way the Brexit bill had been debated.